We qualify our pearls with the help of the official guide of the pearls and gems proposal from GIA Gemological Institute of America). The gia is an independent body of world renown making authority with regard to the evaluation and qualification of the different qualities of cultured pearls. This guide was developed with the participation of Gemworld International Inc. 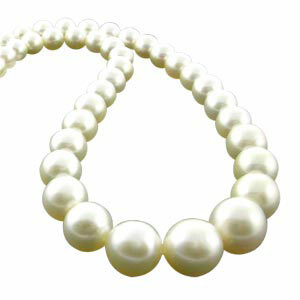 The Akoya name is the Japanese translation of “salt water.” The jewelry into the environment, Akoya pearls or Akoya cultured pearls are known under the name of saltwater cultured pearls gia lists 7 of the pearls value factors: size, color, luster, surface quality, quality of nacre, nacre thickness and uniformity of the whole. 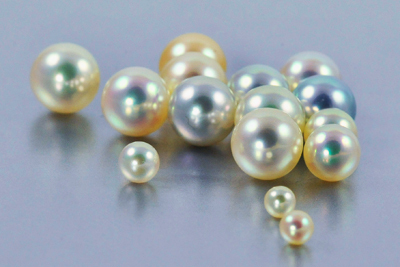 Below is a brief introduction to the graduation method of Akoya pearls we use. 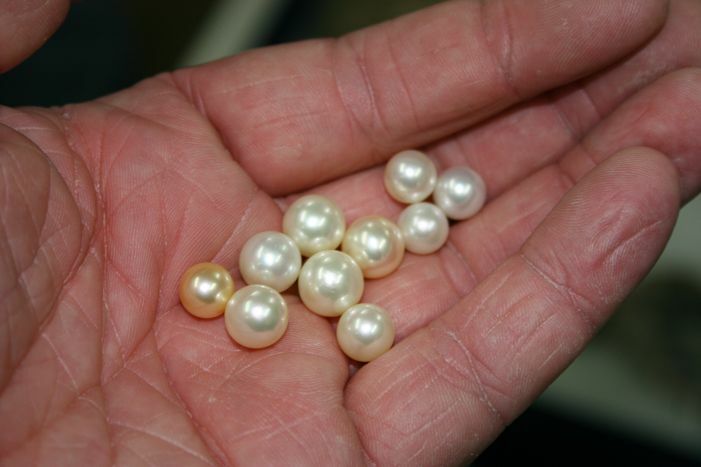 When we talk about measures of pearls, it should be noted that it is the extent of pearl diameter in millimeters ( mm ). The measures are rounded to half a millimeter below, ie 0.5 mm. – The measuring 11mm is exceptionally rare. Generally, if the other value factors are equal to each other, the value of a Akoya cultured pearl increases as a function of their extent. House our site chooses only the highest category (aa + to aaa pearls), which means that they are almost perfectly round to round. We do not propose any pearls under this category. The pearl color is a subtle combination of two decisive factors: the background color and its reflection. The background color predominates. In the moment in which the beads are set on a white surface, we can accurately observe the background color on the outer edges of the pearl. The different background colors are: white, very light pink, light cream or dark yellow or gold. the reflections instead may be silver or pink. The color analysis and the measurement of its intensity are key determinants in the quality. 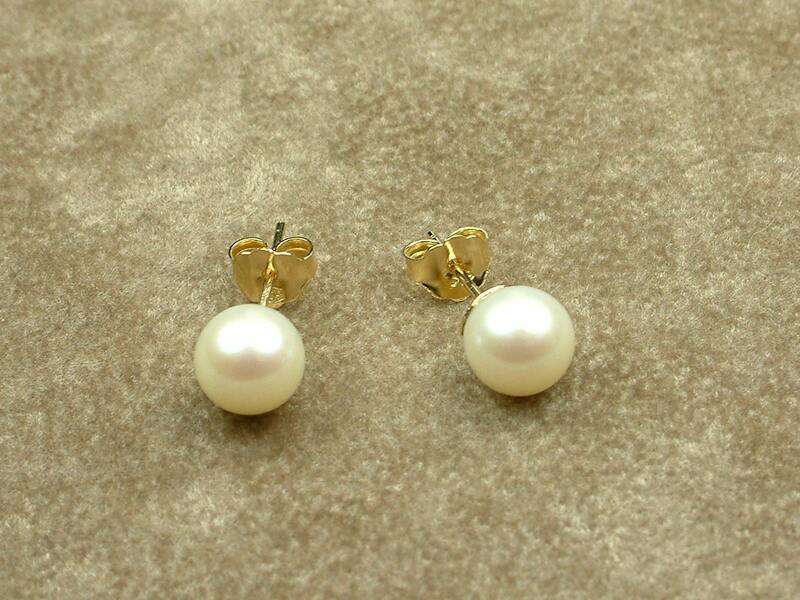 Generally, the Akoya pearls are divided into four basic colors:white, cream, pink and yellow. 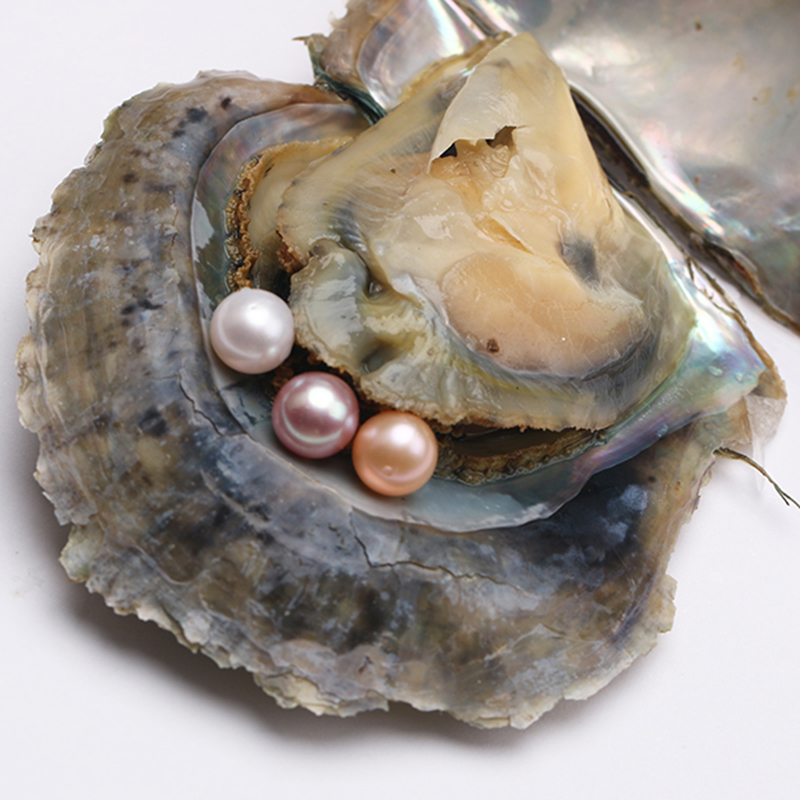 Best AAA quality pearls are white with pink or silver highlights. 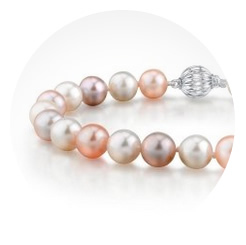 The AA to AA + quality pearls are white, light cream and rosé or silver highlights. Quality A to A + is white, medium cream with pink background color and pink reflections or greyish. 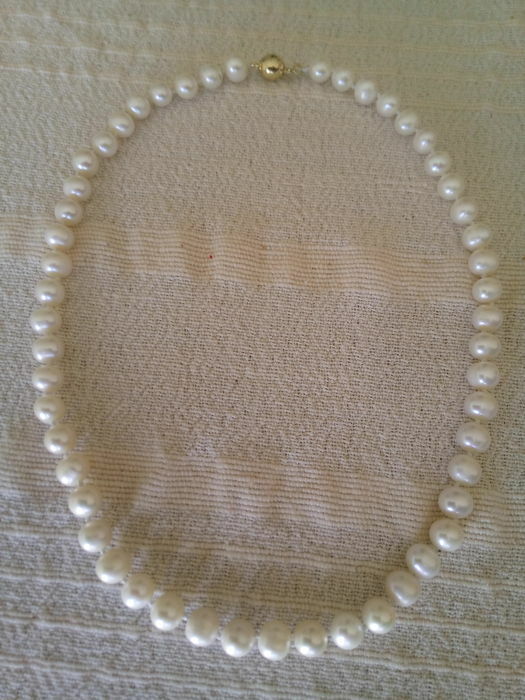 Other pearls instead of dark cream color with a brown background color or yellow (lowest category). 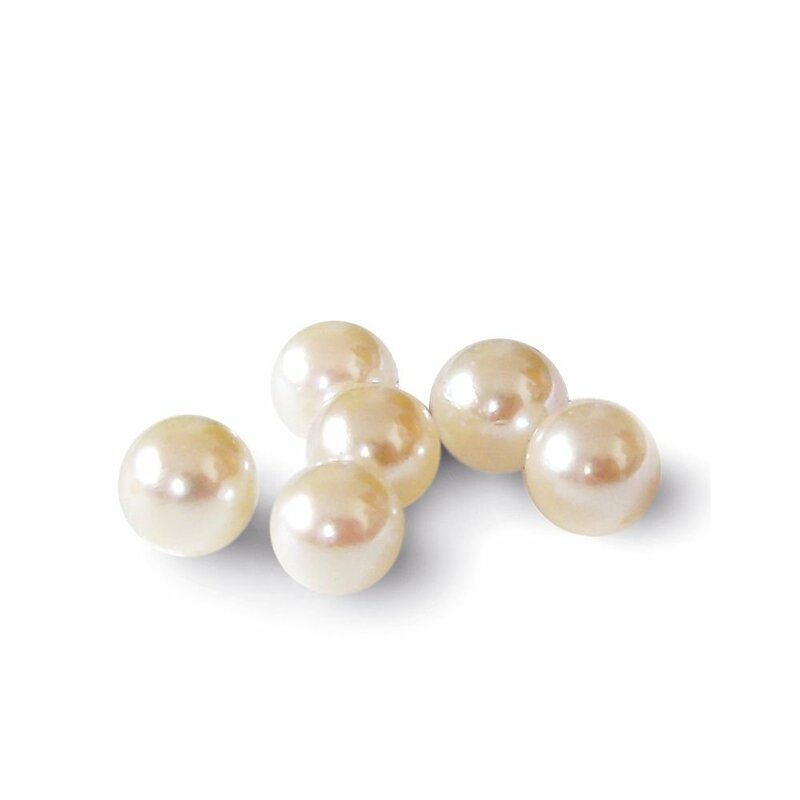 The luster of pearls is ranked on the basis of appearance of their surface which can be more or less bright. A good gloss it has low by category AA pearls. Concerned about the quality of its products, houseour site only offers akoya pearls with a sheen that categories of pearls aa + to aaa. All factors affecting the purity of the pearl are called imperfections These defects nuocono seriously the quality of a pearl. 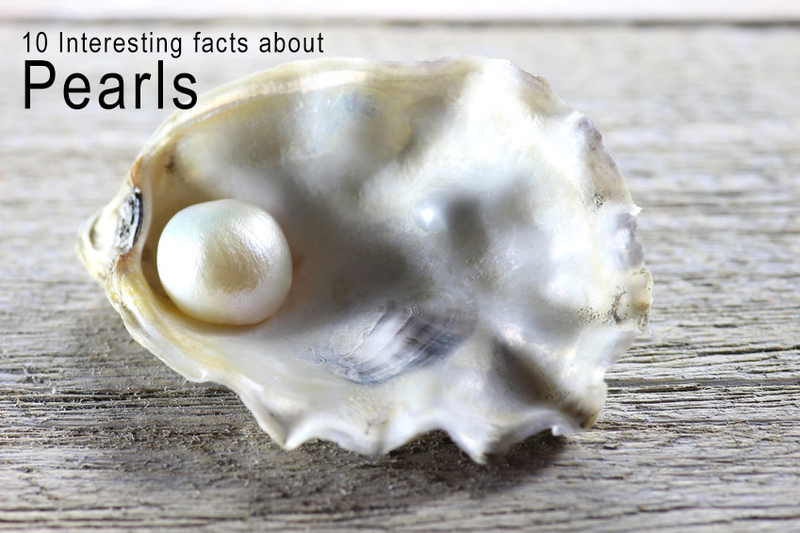 These imperfections are formed at the same time Pearl, during the gestation period inside the oyster. By definition, an imperfection is visible to the naked eye. – imperfections read up to very light (aa to aa +), – imperfections read (from a to a +). The degrees of lower quality (such as B or C) does not lie in the logical order of selection. Consequently, we discard a priori the pearls which have average imperfections or heavy. When we classify a full thread (in order to use the beads for the construction of a necklace ), we have the task of determining the percentage of imperfections of the beads and the percentage of beads which arise. The higher the percentage is low, the better the wire occurs. The quality akoya pearls (AA +) and (AAA) are very slightly marked otherwise almost absolutely perfect. – Al beyond, namely 40% and more, the imperfections become too important because the pearl is taken into account. 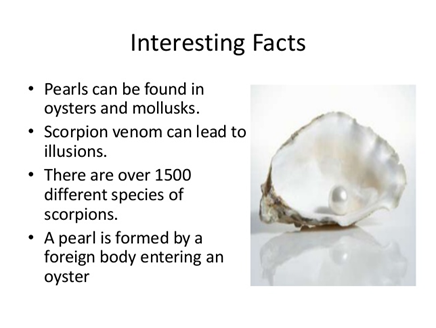 See also: Surface of culture and fine pearls. 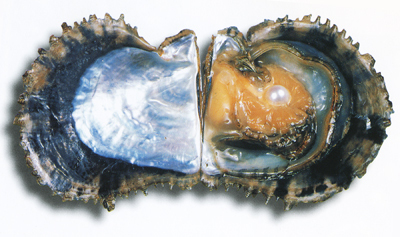 The mother of pearl is formed from the oyster shell around the core. 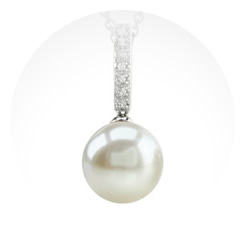 The mardreperla affects the color, luster and elasticity of the pearl. – A quality of pearl ” A + ” until ” A ” is covered with a layer of nacre very thin. Often we can also intravedere of cracks on the surface. These beads are automatically rejected by the house our site. The “AAA” category have a homogeneity that goes from very good to excellent.The categories of quality pearls “AA” to “AA +” have a homogeneity that goes from good to very good.Finally the pearls of category “A” to “A +” not come up with a good homogeneity.The beads below this level are not taken into consideration by house our site.